Author: Roberts, Nora Set In . . .
PR executive Sophia Giambelli loves her job and has never worried about competition. For three generations, her family’s wines have been world-renowned for their quality. But things are about to change at Villa Giambelli. Tereza, the matriarch, has announced a merger with the MacMillan family’s winery—and Sophia will be assuming a new role. As a savvy businesswoman, Sophia knows she must be prepared for anything...but she isn’t prepared for Tyler MacMillan. They’ve been ordered to work together very closely, to facilitate the merger. 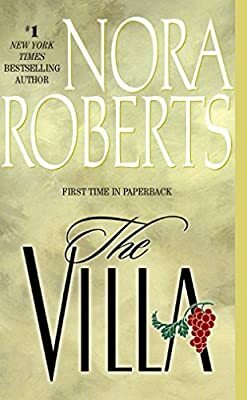 Sophia must teach Ty the finer points of marketing—and Ty, in turn, shows her how to get down and dirty, to use the sun, rain, and earth to coax the sweetest grapes from the vineyard. As they toil together, both in and out of the fields, Sophia is torn between a powerful attraction and a professional rivalry. At the end of the season, the course of the company’s future—and the legacy of the villa—may take an entirely new direction. And when acts of sabotage threaten both the family business and the family itself, Sophia’s quest will be not only for dominance, but also for survival.